The Kettler recumbent exercise bike Ergo R10 is the ideal training machine for a comfortable and interactive training at home. The high-quality workmanship and the modern technology are quality features of this exercise bike, which is developed and built in Germany. The Kettler Premium display offers a multitude of pre-installed training programmes. Via a Bluetooth interface, you can connect the machine with Apps (via Tablet or smartphone) and enjoy an interactive training. 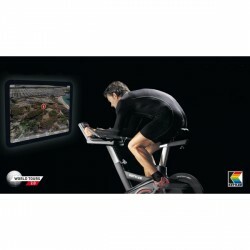 Using the Kettler World Tours 2.0, you can cycle the route profiles interactively. The resistances are automatically adjusted and you can experience the image as well as the topography of the route in your training profile. 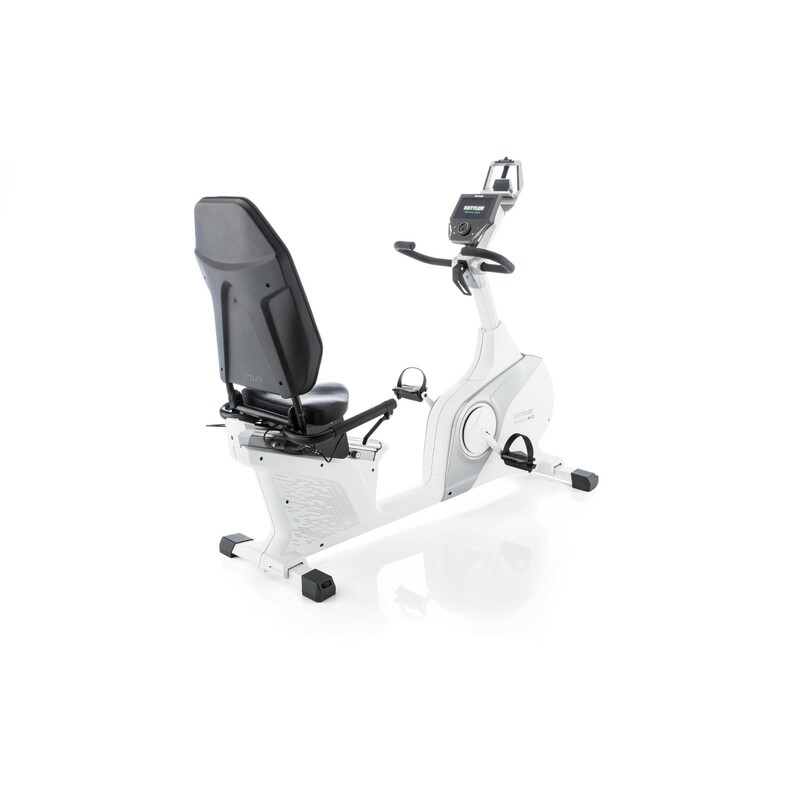 The recumbent bike Kettler Ergo R10 offers a high level of ergonomics. A very deep step-through is a first, striking feature to get comfortably on the machine. The height adjustable seat with backrest is covered with a textile fabric and can be additionally adjusted in incline. Kettler book support for recumbent ergometers In stock! Kettler recumbent exercise bike Ergo R10 add to comparison list.